use the BOF extensions you provide. as a discussion of some real-world examples. common pitfalls and challenges you might face along the way. BOF, assuming your TBOs/SBOs are registered in that environment/repository. DFC and therefore does not get the benefit of the BOF layer. out-of-date, the 2003 white paper “BOF Development Guidelines” is an excellent resource. of the simpler tasks for which one might use BOF, are fairly straightforward. Code to interfaces as much as possible, and avoid casting to concrete classes. rather than concrete Documentum classes. act as a service to multiple TBOs. overriding the various DfSysObject methods. clear extension points that require little understanding of the inner workings of DFC. every time a document is checked out. about the specific method names and the situations each is for. encouraged to override these new “do” methods. in both pre- and post-5.3 environments. Register your BOF code in DBOR. deploying the BOF code into your client application(s). on that machine without deploying it to all clients on that machine. BOF code directly in the docbase. More on this later. running on that machine knows how and when to instantiate BOF classes. (including the full package structure) of the TBO class to use for that object type. guarantees that the custom TBO code in MenuItemContentTbo will run. correctly and coding to the interface, not the instance class). is the recommended way of working with DBOR. // Get a handle on an IDfDbor. // Create a new DBOR entry. line in the dbor.properties file on the local machine. DFC untless it knows where to find it. 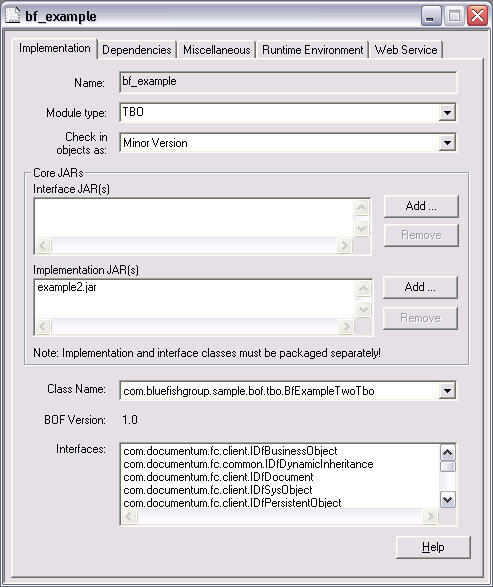 SBO interface, in which case you would only have the implementation class. must be referenced in the main classpath for the entire application server. JVM’s classpath to include a reference to the BOF jar(s). configuration consoles through which you can update the classpath. machine where the BOF code is deployed. provided for in the pre-5.3 BOF framework). times to gain some familiarity with the new concepts. have been introduced: dmc_jar, dmc_module, and dmc_java_library. used depends on whether it is a part of a module or a Java library. isolated from other, possibly conflicting, Java code in the classpath. additional attributes governing how the member objects should be used. 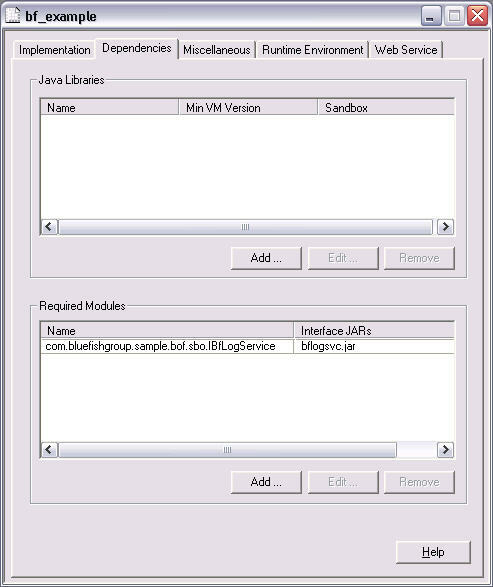 as dmc_java_libraries containing any libraries the BOF module code depends on. a dmc_module is always sandboxed. support for aspects is also implemented using repository-based module code. the time comes to debug! are ‘registering’ that module in that repository. own JAR or as part of the method jar(s). thrown by code that they call. This vastly simplifies development. a certain type is checked out. somewhere to synchronize checkouts with an external system. document of the specified type is checked out. The file below provides a basic example of the TBO class described above. 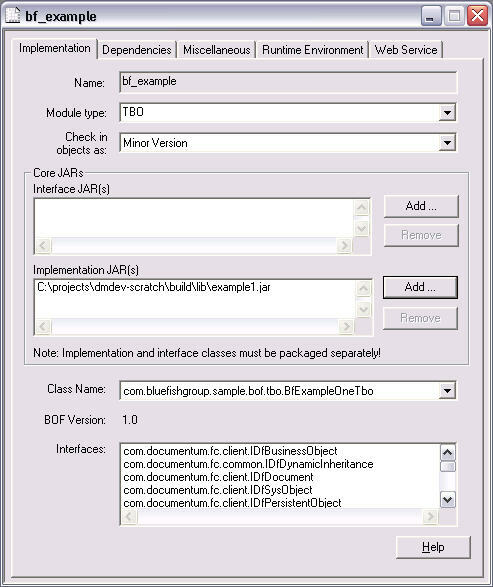 file and then packaging that JAR as a module in Documentum Application Builder. The JAR file below includes the compiled BfExampleOneTbo class. Create a new docapp in the repository, named BOF Examples. 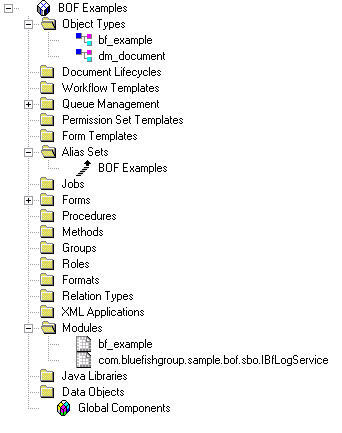 Insert a new object type, named bf_example, as a subtype of dm_document. object type can be created without any problem. name must be the name of the object_type that should use this TBO code. 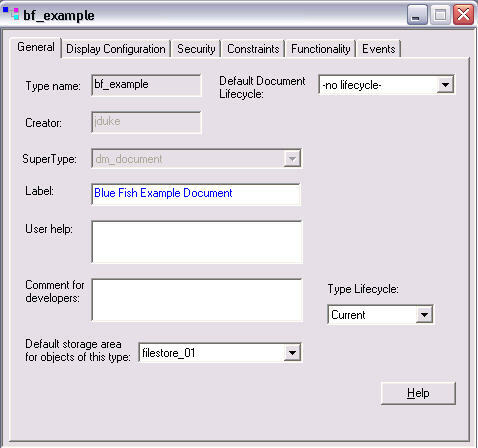 Implement an SBO customization to provide logging capability to multiple TBOs. checkout, it is easy to imagine a more complex and complete service. which instantiates the IBfLogService SBO and calls its logCheckout method. use our new BfExampleTwoTbo class instead of the old BfExampleOneTbo class. the other containing the implementation. Checkout the BOF Examples docapp. can be uploaded from your local machine. BfExampleTwoTbo class from the dropdown, as shown. 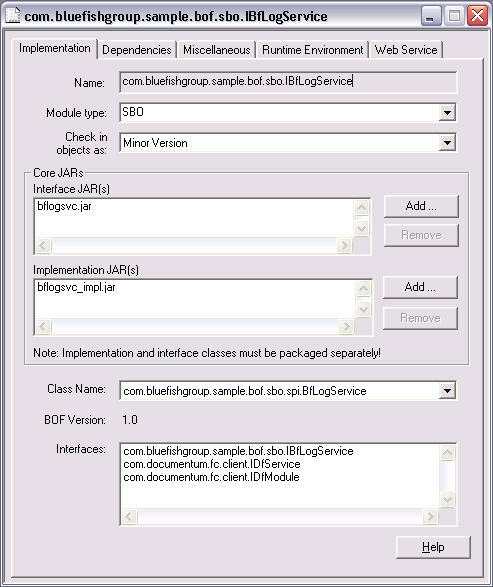 Unlike the TBO from Example 1, this TBO relies on the IBfLogService SBO interface. Tab, by specifying a Required Module. background for understanding and using the BOF.